Today, I finally got in the long run that almost didn’t happen. 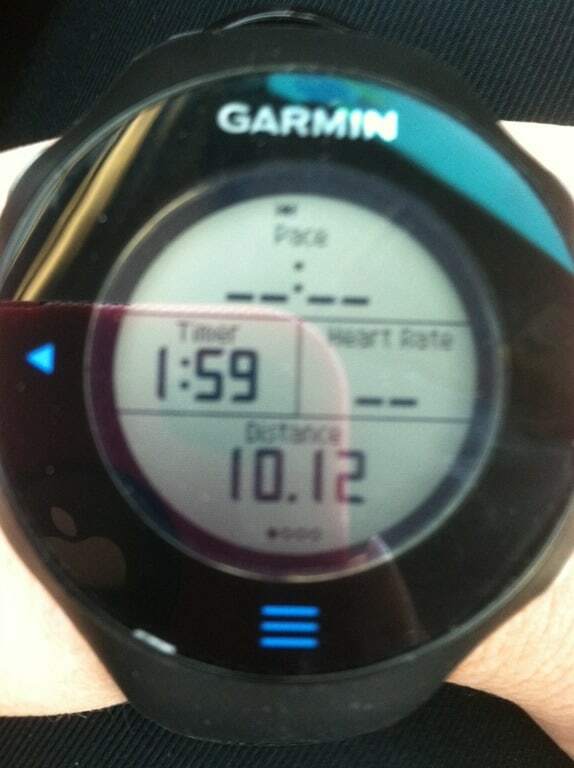 I have a half-marathon this weekend and I wanted to get in a 10 mile run before I start the racing season. I ran a few shorter runs while I was off work during spring break, so I planned to go out to the trails on Saturday for 10 miles. 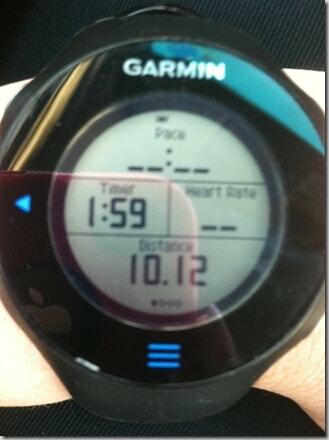 Lately, my confidence in the half distance has wavered back and forth and I was looking forward to the 10. But cleaning, home projects, and one last nap happened instead. My sleep schedule got off track during spring break and I often had insomnia during the night. Sunday, it rained all day. 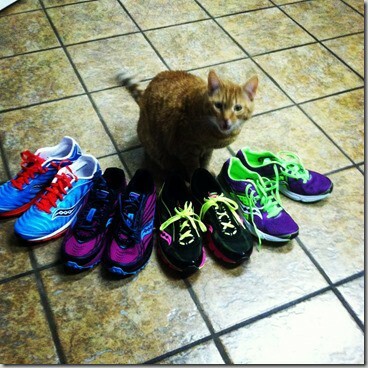 I even planned to attempt a treadmill run. But…..a cold hard rain just demands more cat napping on the couch watching movies. Today, I left school and didn’t stop until I was standing in front of the park bathrooms wearing running shoes. 10 miles done and then I went to CrossFit for the late afternoon workout. I don’t remember the last time I had 10 miles. I know I haven’t gotten 10 since I got sick last summer and again in the fall. This run was for my head more than my body. I needed to get this before I attempt the half this weekend. I needed to know my new shoes are working for that distance. I needed to know my legs were ready. I needed to know if eating a lower carb diet was going to work for that distance. Frankie approves of my show lineup. 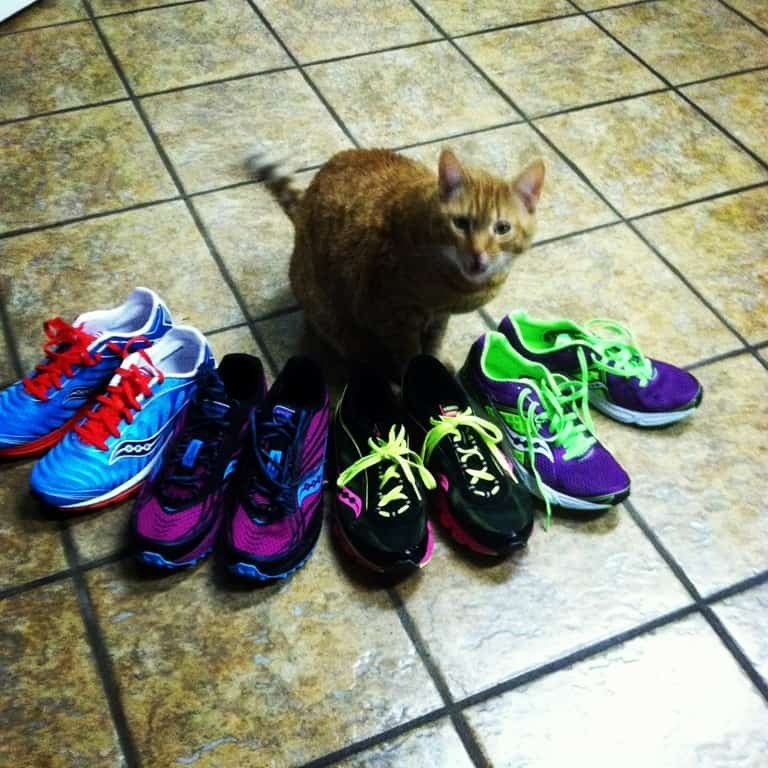 All Saucony, all the time.